Throughout Dorothy Day’s life she searched for a purpose in life and found it in the social reform movement in the 1930s. Day worked closely with fellow activist Peter Maurin to establish the newspaper, The Catholic Worker Movement, a nonviolent pacifist movement that continues to combine direct aid for the poor and homeless with nonviolent action on their behalf. Even before she left university Dorothy Day (1897-1980) became a part of the pre-World War I American youth rebellion against the conventions of their parents. She and her friends wanted to create a new and freer society. 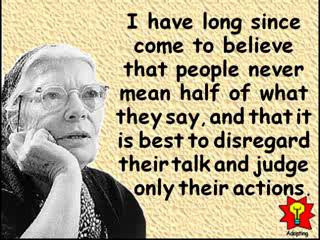 Dorothy Day was a women determined to succeed counting among her achievements a career as an American journalist, a social activist and as a devout Catholic convert she advocated the Catholic economic theory of distribution. The seeds of rebellion were planted early on. She worked for the successor journal to Masses, The Liberator, and a magazine that opposed American involvement in the European war. The post office rescinded the magazine’s mailing permit and five editors were charged with sedition. An activist at heart in 1917 Day went to prison for being one of 40 women in front of the White House protesting women’s exclusion from the electorate. Assigned to a rural workhouse, the women were roughly handled. Finally they were freed by presidential order. Working as a reporter for the New Orleans item in 1922-1923 she wrote and published a commercial successful, partly auto-biographical novel, The Eleventh Virgin (1924), which revealed the great tragedy of her life, an abortion, which resulted from a love affair with a journalist. Her pregnancy with Batterham created a split with her common-law husband, who did not believe it wise to bring a child into this troubled world. On March 3, 1927, Tamar Teresa Day was born and Day quickly had her baptized in the Catholic Church resulting in a permanent break with Batterham. She eventually moved to Mexico City, where Day and her daughter lived on the edge of poverty. The same summer she returned to the United States on the onset of the Great Depression which swept her into the movement for social reform. It was at this time that she met Peter Maurin, a former French Christian Brother and social agitator, who convinced Day that that radical social reform and the Roman Catholic Church could be united. Surrounded by people in need and attracting volunteers Day’s apartment was the first location of the Catholic Worker and the seed of many houses of hospitality for the homeless to come. During the Great Depression, when no government services existed the Catholic Worker became a national movement and by 1936 thirty-three hospitality houses, havens for the houses spread across the country. For the next 50 years the Catholic Worker Movement was at the forefront of all Catholic reform efforts. In 1965 many Catholic Workers went to prison for refusing to cooperate with conscription, others took part in protests and many went to prison for civil disobedience. Day herself was jailed in 1973 for taking part in a banned picket line to support of farm workers. She was 73. DOROTHY DAY LIVED LONG ENOUGH TO SEE HER ACHIEVEMENTS HONORED. IN 1967, SHE WAS RECEIVED BY POPE PAUL VI AND NOTRE DAM UNIVERSITY PRESENTED HER WITH ITS ‘LAETARE MEDAL,’ THANKING HER FOR COMFORTING THE AFFLICTED. MOTHER TERESA OF CALCUTTA VISITED HER AS DID MANY OTHER DIGNITARIES. DAY FOUND HERSELF REGARDED BY MANY AS A SAINT BUT SHE DECLARED, “If I have achieved anything in my live, it is because I have not been embarrassed to talk about God.” In 2000 the Vatican began the process of considering Dorothy Day for sainthood. The firs time I saw the movie Fountainhead, a modern epic of gigantic proportions both by content and visual presentation, I was captivated by the story of the romantic and philosophical story of an uncompromising young architect named Howard Roark. This was the kind of hero whose depiction was the chief goal of Ayn Rand’s writing: the ideal man and his struggle against “second handers”-- those who attempt to live through others, placing others above self. The book itself, which Rand wrote over a period of seven years, was rejected by twelve publishers before finally being accepted by Bobbs-Merrill Company. But it became a worldwide success and in 1943 Rand sold the rights for the film version to Warner Brothers. Ayn Rand, a woman determined to succeed; a woman who today is called to the fore of public attention with the release of the movie, Atlas Shrugged is resurrected, so to speak, into the public consciousness. Two famous best-selling novels define the Russian-American novelist, philosopher, playwright and screen writer. The Fountainhead gained for its author lasting recognition as a champion of individualism. 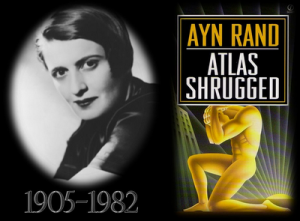 Atlas Shrugged, published in 1957, was her greatest achievement and her magnum opus. The plot of Atlas Shrugged involves a dystopian United States in which the most creative industrialists, scientists and artists go on strike and retreat to a mountain hideaway where they build an independent free economy. With this fictional strike Rand intended to illustrate that without the efforts of the rational and productive, the economy would collapse and fall apart. In it John Galt the novel’s hero delivers a lengthy monologue containing Rand’s most extensive statement of Objectivism. The publication of this novel of more than one thousand pages ended her career as a novelist and began her role as a popular philosopher. Rand is also recognized for developing a philosophical system she called Objectivism, which she characterized as “a philosophy for living on earth.” Her philosophy of living on earth has changed the lives of thousands of readers and launched a philosophic movement with growing impact on American culture. In 1958 Nathaniel Branden established the Nathaniel Branden Lectures, later incorporated as (NBI) Nathaniel Branden Institute, to promoted Rand’s philosophy Rand expressed opinions on a wide range of topics including music, literature, sexuality and some of her followers mimicked all her preferences, wearing clothes to match the characters from her novels. Some describing NBI or the entire Objectivist movement as a cult or religion. Ayn Rand, Alisa Zinov’yevna Rosenbaum was born on February 2, 1905 in St. Petersburg, Russian Empire. During her formative years she was educated in Russia and was eyewitness to both the Kerensky Revolution, which she supported, and in 1917 the Bolshevik Revolution which she denounced from the outset. In late 1925 she obtained permission to leave Soviet Russia for a visit to relatives in the United States and arrived in New York in 1926 and did not return to Russia. She worked as a screenwriter in Hollywood and sold her first screenplay, “Red Pawn,” to Universal Pictures in 1932 and saw her first stage play, Night of January 16th, produced in Hollywood and then on Broadway. We Are Living, her first novel, was based on her years under Soviet Tyranny. She died on March 6, 1982 (aged 77) in New York City. RAND’S POLITICAL VIEWS EMPHASIZED INDIVIDUAL RIGHTS, INCLUDING PROPERTY RIGHTS AND LAISSEZ-FAIRE CAPITALISM ENFORCED BY A CONSTITUTIONALLY LIMITED GOVERNMENT. HER VIEWS REFLECTED IN BOTH HER FICTION AND NONFICTION WORK. THE NEW FILM, ATLAS SHRUGGED I IS CURRENTLY PLAYING IN New York MOVIE THEATERS. An invitation to Elizabeth Arden’s Red Door on New York’s Fifth Avenue was my introduction to the pampered world of a luxurious spa and cosmetic beauty regime. The chic Red Door saleswomen or the ‘Ladies’ as some women called them, were immaculately dressed in black sheath dresses, their hair impeccably coiffured and makeup so precise that their personae made it clear that beauty could be obtained for a price. Elizabeth Arden’s brand name was synonymous with a woman determined to succeed, a woman who built a cosmetics empire in the United States that at the peak of her career, she was one of the wealthiest women in the world. FAME IN A NAME Arden was destined for remarkable destiny. Her middle name ‘Florence Nightingale’ was popular choice at the time, honoring as it did the renowned Florence Nightingale of nursing fame. Florence was born on December 31, 1884 in Woodbridge, Ontario, Canada and was named Florence Nightingale Graham. This name may very well have influenced her career choice as she took up nursing at a school in Toronto but later dropped out. Spreading her wings and looking for a new path she ventured to the United States and joined her brother in New York City where she worked briefly for the E. R. Squibb Pharmaceuticals Company; spending hours in the lab she began to learn about skincare. The steps leading to her life as a cosmetic tycoon had its fledgling beginning as a ‘treatment girl’ working for Eleanor Adair, an early beauty culturist. BECOMING ARDEN Learning as she did along the way through association with other culturists, in 1909 Florence partnership with Elizabeth Hubbard, and when the partnership dissolved, she coined the business name from her former partner’s first name and from Tennyson’s poem “Enoch Arden,” and so Elizabeth Arden was born. Arden presented herself to the business and social society as an elegant woman, meticulous dressed and always a ‘Lady.’ She traveled to France to the Mecca of beauty intelligentsia and returned with a collection of rouges and tinted powders she had created. In an era when it was generally only acceptable for entertainers to wear makeup the forward thinking Arden introduced the concept of the “makeover to American women in her salons. A SCIENTIFIC APPROACH Arden’s early lab experience no doubt greatly influenced her scientific approach to her cosmetic formulas. Case in point. Arden collaborated with A. Fabian Swanson, a chemist, to create a “fluffy” face cream called, Venetian Cream Amoretta, and the corresponding lotion, Arden Skin Tonic. “Total Look” was another innovation in which she advocated matching lip, cheek and nail polish colors; coordinated thus this marketing concept meant that a woman would make a three part sale. Another ‘first,’ as there were many, included the fact that Arden was the first to make cosmetics commercials shown in movie houses. Always in step with changing times during WWII the Arden Salon showed women entering the work force how to apply makeup and dress properly for careers outside the home. With her acute awareness of women in the armed forces she created a lipstick called Montezuma Red that would match the red in their uniforms. WORLDWIDE EXPANSION The Elizabeth Arden brand had escalated into a formidable empire which began expanding internationally in 1915, when Arden opened salons across the world all of which she launched personally. 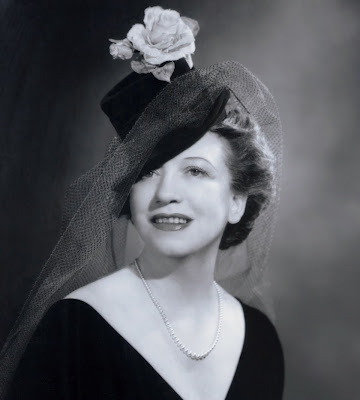 By the 1930s through the 1960’s Elizabeth Arden was considered the most upscale cosmetic brand and acquired celebrated patrons from queens to movie stars and president’s wives. IN FULL GALLOP Wealth and prestige heaped upon her empire Arden indulged in her favorite pastime and used the name Maine Chance Farm for her thoroughbred horse racing and breeding operation in Lexington, Kentucky. The association with the blue grass Kentucky land may well have inspired the introduction of the perfume, Blue Grass in 1934, which was a great success. Considered the first all-American scent, it remains on the market today. By the 1940s her stable became a major force in American Thoroughbred horse racing. Among her winners in 1947 her colt Jet Pilot, trained and ridden by future hall of Famers Tom Smith and Eric Guerin won the Kentucky Derby. Other fillies followed and for her contribution to the racing industry, Elizabeth Arden Graham was posthumously inducted into the Canadian Horse Racing Hall of Fame in 2003. ELIZABETH ARDEN’S LEGACY Elizabeth Arden’s cosmetics company continues to trade today, and was bought by IFF International Flavors and Fragrances in 2003. The company continues its collection of coordinated make-up sets, as well as an extensive line of skin care products and treatments. The focus today, however, is on a number of fragrance lines including the company’s signature fragrance called, “Red Door” named after the day spas which were called “Elizabeth Arden Red Door Salons.” Elizabeth Arden lived a rich and rewarding life dying at 81 years old on October 18, 1966 and is buried in Sleepy Hallow Cemetery under the name Elizabeth N. Graham. Sadly towards the end of her life, Arden did not prepare the company for her passing and as a result, her company and private estate was heavily taxed after her death. Her stable was sold and her family had to auction off many of her personal assets. Fortunately, Elizabeth Arden's famed Red Door is still open to women today.